My first memory of Game of Thrones was watching the second episode of the series (“The Kingsroad”) in an auditorium with a couple of my undergrad friends. I had no idea really what this series was about but by the end of the episode, I was hooked. Looking back at the story as it nears its conclusion is a strange thing to experience, especially when I think about my own life changes in the past seven or so years. Theoretically, top ten or even twenty-five lists are incredibly easy. For a show like Game of Thrones, it’s incredibly difficult. There are the bombastic moments – who can forget the obliteration of the Sept of Baelor? Or our sinking hearts as we saw Jon (Kit Harrington) struggling to breathe in the Battle of the Bastards? Then there are the quiet moments, like the sigh of relief as we realize that the Margaery (Natalie Dormer) had not abandoned the Tyrell name after all, or the awe we felt at Lady Lyanna Mormont’s (Bella Ramsey) ferocity. Below are the Top 10 Moments from seasons five through seven of Game of Thrones. As with the previous list, There are certainly dozens of other great scenes or moments that I left off of this list that we’d love to include, but please chime in on Twitter @ThatShelf and tell us your own! 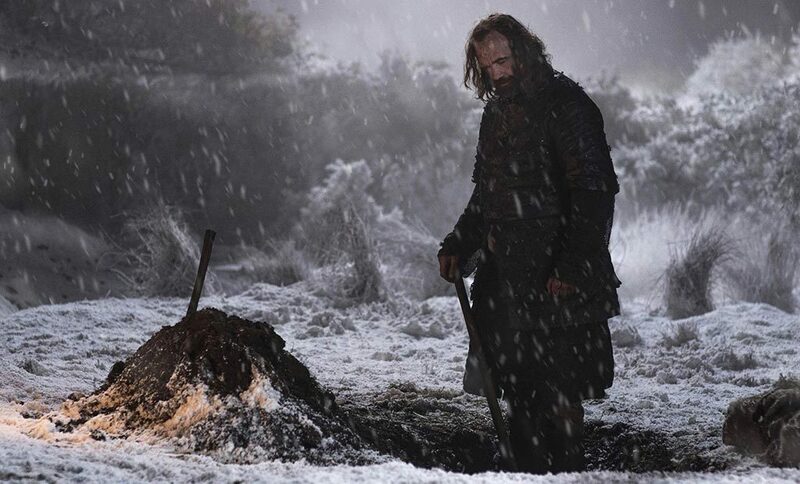 The Hound (Rory McCann) is a figure whose life has been shaped by masculine violence. It has molded his childhood, his adulthood, and every moment where he felt death was right nearby, inescapable. That hardened him and his worldview and the world seemingly rewarded that worldview by proving it right repeatedly. Or at least that is what the Hound saw. But he slowly realizes that in spite of the world being what it is, in spite of the horrors and the backstabbing and the bloodletting, that there is room for empathy, for kindness, for justice.